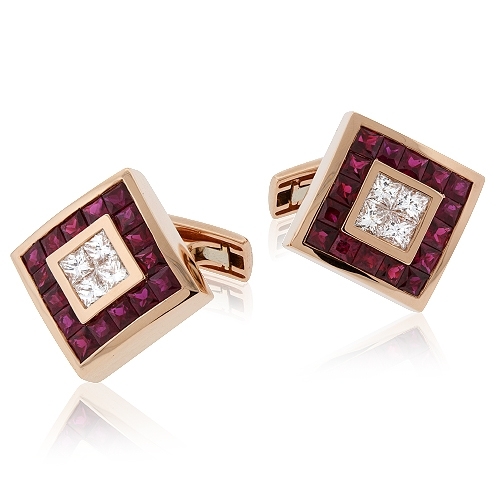 Princess cut diamond and ruby cufflinks set in 18kt rose gold. Diamonds approx. 1.21ct.